Hope Church, an on-campus ministry at ASU facing a complaint about "cult-like" behavior, describes itself as a non-denominational Christian Church that is Bible-based. The original team held its first service in Tempe in August of 2004. Senior Pastor Brian Smith said the church loves college students. He said he grew up in Phoenix and has always loved ASU and its students, which is the reason he helped start Hope Church at ASU. The church is an offshoot of the Faith Christian Church Tucson branch, which was located at the University of Arizona and was shut down after an investigation by the university. Hope Church still abides by a statement of faith built onto a word-for-word duplicate of Faith Christian's statement of faith. We believe there is one eternal, almighty and perfect God; Father, Son and Holy Spirit. We believe God wonderfully and immutably creates each person as male or female. These two distinct, complementary genders together reflect the image and nature of God. We believe God has marriage to be the union of one man and one woman, and that marriage is a reflection of Christ’s relationship with His bride, the church. We believe in the present ministry of the Holy Spirit by whose indwelling the Christian is enabled to live a godly life. The baptism in the Holy Spirit, subsequent to conversion, releases the fullness of the Spirit and is evidenced by the fruits and gifts of the Holy Spirit. This statement of faith does not exhaust the extent of our beliefs. The Bible itself, as the inspired and infallible Word of God that speaks with final authority concerning truth, morality and the proper conduct of mankind, is the sole and final source of all that we believe. For purposes of Hope Church’s faith, doctrine, practice, policy and discipline, our Board of Directors is Hope Church’s final interpretive authority on the Bible’s meaning and application. Maranatha Campus Ministries is a religious body that oversaw multiple campus ministries and was disbanded in 1989. When MCM shutdown, the Tucson branch was renamed Faith Christian Church. According to the complaint, MCM was founded on the principles and infrastructure of the Shepherding Movement, a style of ministry leadership. For one former Hope leader, Jeff Phillips, the church's control over his life did not end after he left the church. As a freshman, Phillips was introduced to Faith Christian Church in 1991. Later, he was sent by the church to help start a Florida branch called Cornerstone Christian Church, where he was a leader. He later took issue with the ministry's controlling behavior and ended up abandoning it for Hope Church, which had also recently disassociated itself, under the leadership of Smith, from Faith Christian for similar reasons. 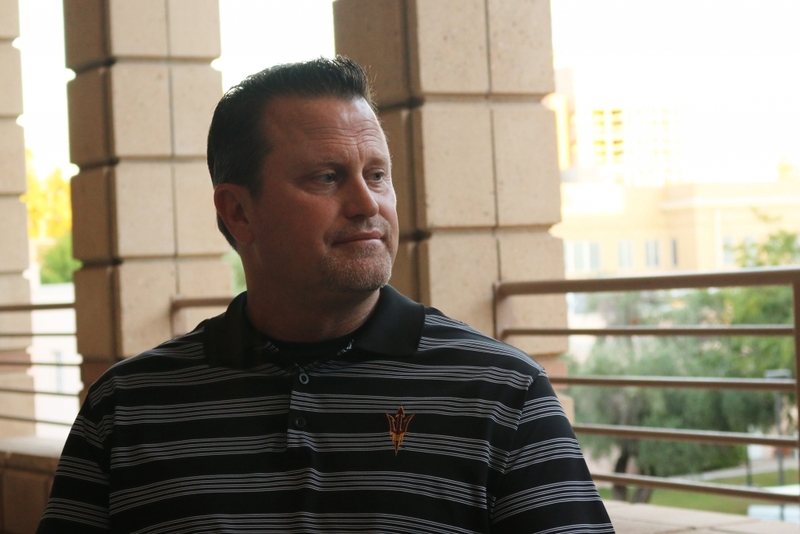 At that time, Phillips heard Smith was seeking to begin a healthier ministry at ASU. In April 2015, The Tampa Bay Times reported on complaints about Cornerstone Christian Church given to the University of Florida regarding allegations against the church "traumatizing" its members in a description heavily reminiscent of the complaint filed against Faith Christian in Tucson. Phillips worked as a part-time employee for Hope Church for about a year, and he was eventually asked to become a leader due to a need in the church. 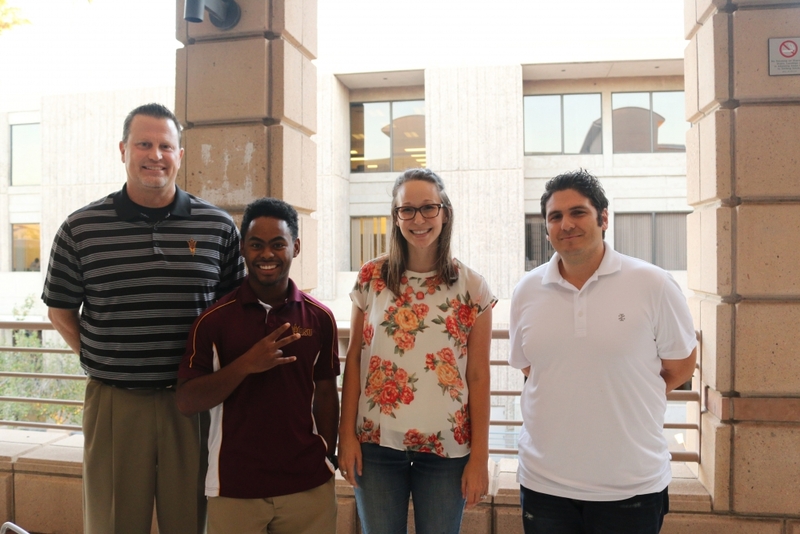 Smith was a leader in the Tucson branch before the chapter was investigated by the University of Arizona, and he was working with Faith Christian, Hope's once parent organization, to create an on-campus ministry in Tempe. After a year, Smith broke off the connection with Faith Christian. He said he is "unaware of the details" of the Tucson-branch membership shut from the University Religious Council in 2015. In the past, Faith Christian was criticized by its former members and other religious leaders for its unethical behavior, also being described as "cult-like" in allegations reported on by The Daily Wildcat and the Arizona Daily Star. "We have no affiliation with Faith Christian Church,” Smith said. 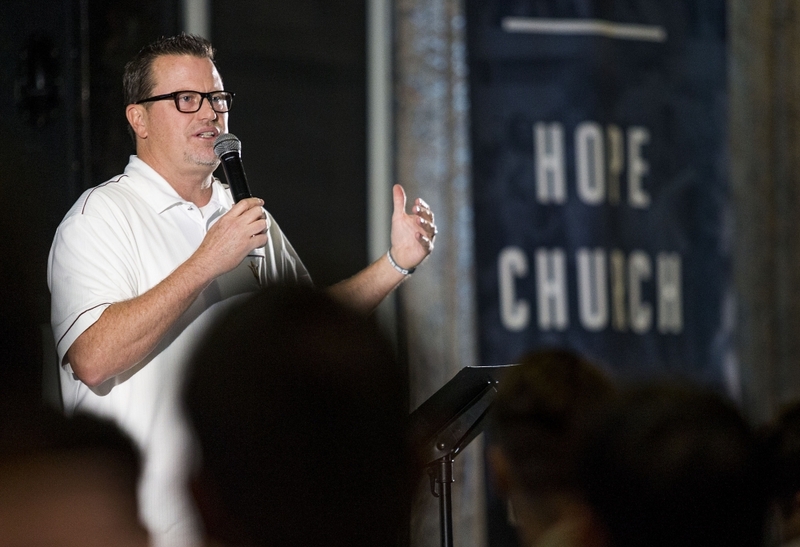 He described Faith Christian as a "closed system," and Hope as an "open system," which connects with local churches in Phoenix and opens up the church to input coaching and counsel from other religious leaders. "That's a healthy church," Smith said. "We're building according to a different philosophy of ministry in that way. ... (Faith Christian) was more isolated." Dr. Felix Salomon, the director of Phoenix Institute for Psychotherapy, said the difference between a cult and an open system is that an open system is not monitored as closely. “In an open system, (members) can leave anytime they want — without fear of retaliation or retribution from the group,” he said. A group of pastors called the Grace Association were approached by Smith to guide him and create an open system in contrast to Faith Christian from which Smith came. One of the board members, Gary Kinnaman, senior pastor of Word of Grace Church in Mesa for 25 years, said the pastors in Grace Association have been guiding Smith in his journey to distance himself from Faith Christian. Kinnaman said the leaders did an internal investigation a year and a half ago because of complaints they heard against Hope Church and its leadership. The single most prevalent element of a cult: an unwillingness to listen to anyone outside the cult or for the leadership to make themselves accountable. Often cult leadership is paranoid about outsiders. He said the only "cult-like" trait that could have described Hope is "a culture of extreme control and pervasive spiritual abuse." However, he said Hope’s board of leadership and advisers from Grace Association have recognized this tendency, addressed it formally, outlined changes Hope Church needs to make and has made these changes. Phillips said the long process of dissociating himself from Hope Church began when he noticed people leaving the church. Phillips said he began to have concerns about what leadership was doing in the church, and many problems were brought to light as he became more involved. At this time, Phillips said Smith pleaded that the two meet with Smith’s counselor. Phillips said at this meeting, he was asked to sign a five-year contract with the church as a prerequisite before discussing any concerns about the ministry. He agreed to think about it, but ultimately declined. "I don't recall that at all," Smith said about the encounter. He later went on to say that he is not at liberty to discuss the details of private counseling. Phillips said he came to this decision after calling former members of Hope Church and asking why they left. They all advised him to leave the church as soon as possible, he said. “Brian and I tried to remain friends after (I left),” Phillips said. “Brian actually still needed a lot of help with their office: keeping their books and processing contributions. I was still going to school and needed a part-time job, so I stayed. ... I thought we could have a professional relationship, and none of his ministry would touch my life.” During his time doing church office work, conflict arose when Phillips hired a former member of Hope Church to baby-sit his young children. Phillips said Smith took issue with the former member, Ashley Perea, baby-sitting because Perea herself had left the church without explanation. Read more about Ashley Perea's story "Investigating Hope: Power Dynamics"
This conflict led Phillips to leave his job in their office. Now, several years later, Phillips’ name is on the complaint against Hope Church, and he is openly speaking out about his issues with the church’s behavior. Phillips said as a result of this, he has received backlash from the church. He said a church member sought to threaten his job on two occasions by calling the office of his current employers with allegations that Phillips attacked Hope Church and had hacked its website. While Smith said he did not personally contact Phillips’ employers, church leadership did not deny that Phillips' employers were contacted. The employers confirmed a Hope Church member contacted them. Kinnaman from Grace Association said Hope has been undergoing changes to adjust formerly controlling behavior. The advice he gave Hope leadership was to go through sensitivity training, which Hope leadership said they did through University resources. 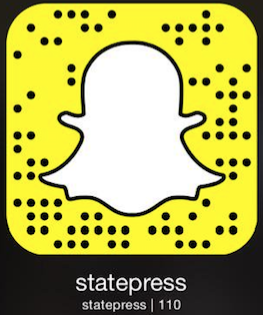 Savannah Drake talks Hope Church from The State Press on Vimeo. "Cult leaders are persistently unwilling to acknowledge extreme control as an evil," Kinnaman said. "In fact, they embrace it, as does Faith Church at UA. The leadership of Faith Church has refused for decades to interact with and submit themselves to outside influence and accountability. 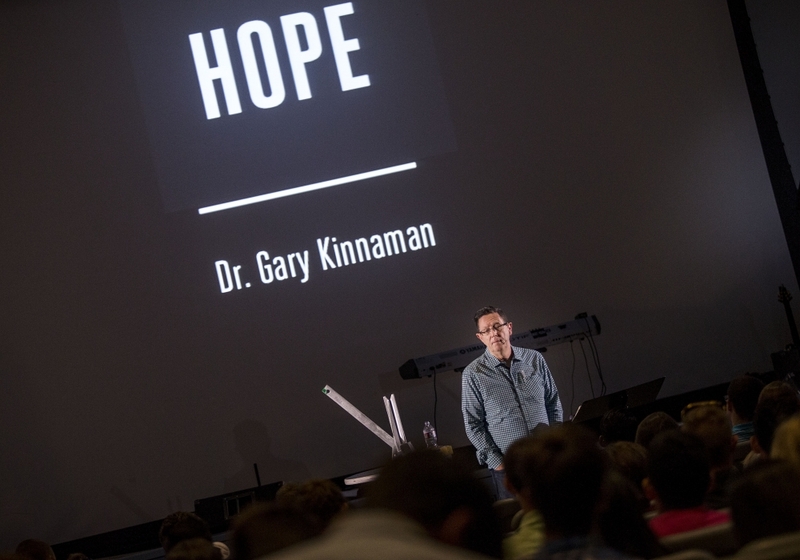 Yet Hope has reached out to some of the most influential Christian leaders in the Valley, has submitted themselves to these leaders and has made changes in its ministry style." The leadership structure at Hope Church is made up of campus ministers who are employees of the church. Student leaders also can apply for the position after the second semester of their freshman year. Church employees are paid through sponsorships they seek out in the community, and the funds that are raised are regulated by the Evangelical Council for Financial Accountability, according to Hope Church's pastors. Correction: The chronology of events revolving around MCM and its offshoots was inaccurate. It has since been updated to reflect the accurate information.